The phrase “dress for success” extends beyond just the workplace. In fact, it also holds true for sports and other fitness-related activities. When we subject our body to strenuous movements and extreme conditions, we should at least prepare. Everything adds up–eating the right food, going through warmups, and wearing the proper gear. This article will talk about the last point, wearing the proper gear. Over the past few decades, brands like Strideline have been constantly coming up with innovative ways to help athletes perform. 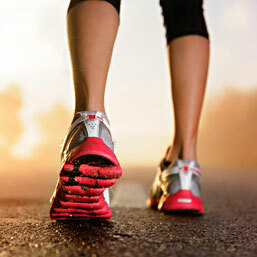 These include shock-absorbing shoes, lightweight apparel, compression gear–the list goes on. As a result, athletes have been able to run faster, jump higher, train longer, and recover better than in the past. And a lot of it has to do with what we wear. Wearing the wrong equipment can send you to the hospital.. It’s true: research shows that wearing improper gear is one of the major causes of sports-related injuries. On the other hand, wearing the right gear can reduce your risk of injury and improve your performance. Use gear specific to your chosen sport. For basketball, wear basketball sneakers; for tennis, tennis shoes; for football, pads and cleats–you get the picture. Most importantly, invest in quality gear that keeps you safe. Nothing sets the mood better than a pair of new sneakers or a cool jersey. Knowing you’re the fly-est person on the court has to count for something, right? Dress like you’re prepared and feel like you’re worth a million bucks–or more accurately, a million points. Wanna add a jolt of style to your wardrobe? Visit https://www.strideline.com/ for some cool custom socks made with an athlete’s comfort in mind. Performance gear is called so for a reason. The right gear should fit well in the right places and feel like armor when you’re at the field or court. For example, the right running shoes should feel good, even after twenty miles. Likewise, the right shirts should wick away sweat instead of absorb i. Whatever the case is, your gear should look good and feel good. Imagine a shirt too tight, you can’t even lift your arms; or shorts too loose that you can barely run. Funny right? Well it won’t be that funny when you’re in the middle of a game and you need to deliver. Buying ill-fitting, poor-quality gear will only set you up for failure. Find something that puts you in position for success like a solid tee or a great pair of shoes–anything that makes you feel awesome and allows you to move freely. Choosing the right gear goes beyond looking good. It’s about preparing and protecting your body from any kind of movement you may encounter in the court or on the field. So the next time you go out and buy gear consider this: How Will this help my performance? If you end up looking good…well…that’s a bonus!